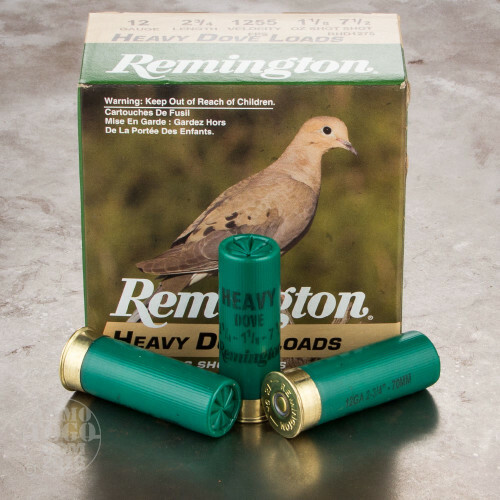 This is 12 Gauge Remington Heavy Dove Loads 2 3/4" 1 1/8oz. 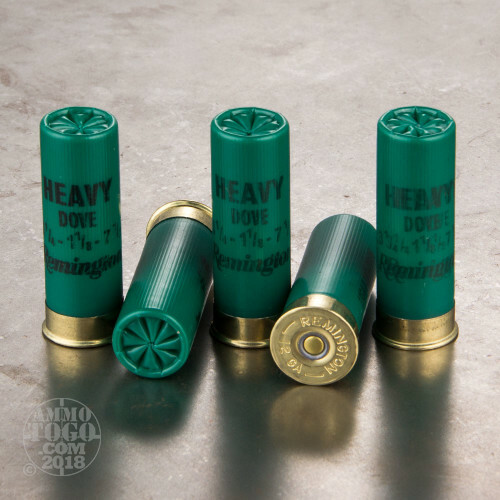 #7 1/2 Shot Ammo. 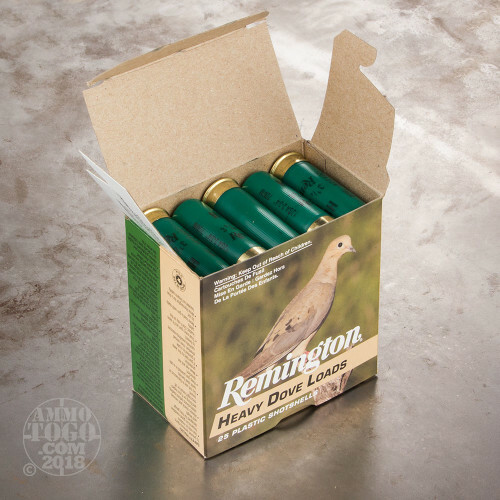 The hunter's choice for doves and a wide variety of game-bird applications. 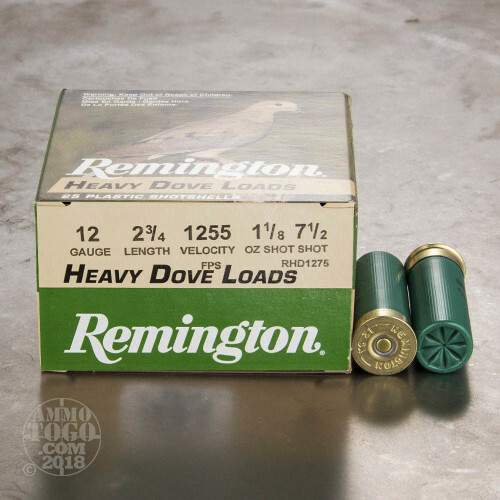 Remington's Heavy Dove Loads provide an extra bit of shot for better shot patterning and higher shot densities. It comes packed in 25rd. boxes. Muzzle Velocity: 1255 fps.